Not every DBA or Database Developer has had experience with Analysis Services so it did not come as a surprise when a DBA at a client site approached us for quick help in restoring the Analysis Services Database on-to the development environment. In our back to the basics series of posts, we will be covering this topic today. Once that is done, you would be able to restore the database on that instance and then do configuration changes, data source changes etc. Another way of doing the restore: In case you are not a GUI kind of guy and like to us scripts, you can also use XMLA. You can read up on the command here. 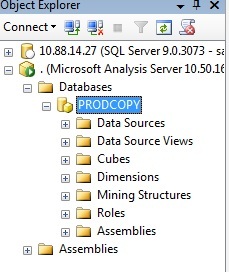 You can invoke XMLA by right clicking on the Analysis Services instance and choosing “New Query” and XMLA. The command parameters are the same as you saw in the GUI option above so add the values appropriately and then execute it in order to complete the restore process. 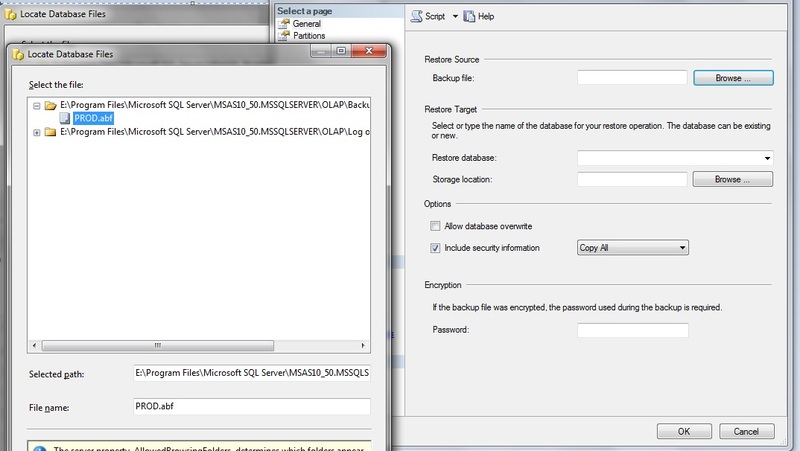 Backup and Restore Analysis Services Databases – article on SQLServerPerformance.com by Ashish Kumar Mehta – here. 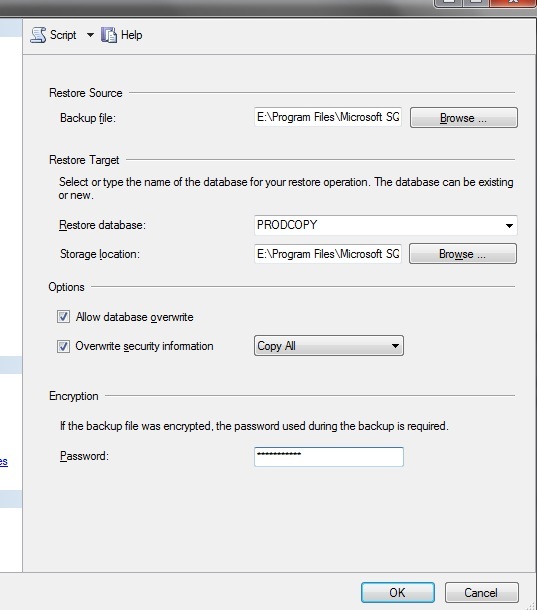 MSDN post on backing up and restoring Analysis Services Database – here. 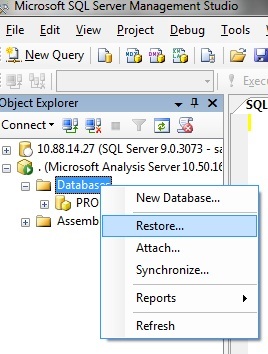 Database Journal Article on restoring Analysis Services Database using Windows Powershell and SQL Server 2008 AMO – here. Recent post on GigaOm – here. Flowing Data post from 2009 – here. Model & interpret the data using analytics which could be different kind of techniques in multivariate statistics, NLP, machine learning etc. Translating it to meaningful information for answering the business questions. Essentially, it is mining of the data to glean meaningful information and presenting it in a way to the end user who can then interact with the data to look at the effect of different parameters and get a predictive analysis. KDD (Knowledge Discovery in Databases) is another acronym used for it. A data scientist may not be an expert in all the areas listed above but will possess depth in certain areas and be familiar enough with the other areas so that he/she can quickly perform basic tasks in those areas. Typically, it will always be a team of data scientists working together on such a project. So, what kind of business problems can be solved by the approaches listed above? Forecasting alone is just one of them. Others areas are: Risk management (example – used by insurance companies or the banking industry), churn analysis (example – for customer retention, many telecommunications company use these algorithms to help them retain their customer base), Marketing to the right segment (example – used by companies like Amazon by customizing their presentation to cater to your needs), Detecting anomalies (example – money laundering or credit card frauds). Needless to state, there are a lot of tools and techniques out there that can help you build such solutions. 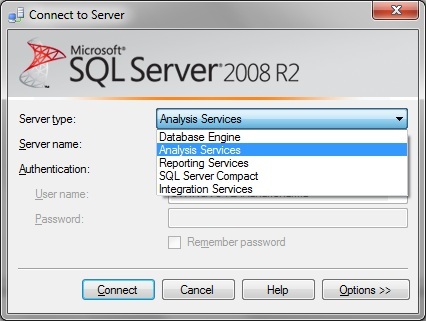 In our posts, we will be using SQL Server 2008 R2’s Data Mining features to demonstrate how the MSFT tools can be used to build such a solution. If you have had experience moving from one of these platforms to the other, please share your experiences. If you have dealt with a business intelligence project for the financial industry, chances are that you must have met business/application users who know excel in and out and can do pretty nice business analytics using excel itself. MSFT has now introduced PowerPivot for Excel 2010 which is essentially a data analysis add-in. This used to be called as Project Gemini in the past for those of you who have been tracking it in the past. Pretty cool and very powerful indeed. If you are new to it, there is an excellent introduction to powerpivot by Rob Collie – here. MSFT has released a very good whitepaper on Analysis Service performance issues. It covers Query Performance issues, Processing Performance issues and tuning of the server resources. You can download it from here. It’s curtains for the performance point server product. It’s functionality will now be merged into Sharepoint server instead. MSFT announced it last week – you can read more on this over here. This BI product was cumbersome to use and many of our customers also were just happy using the feature functionality present within SQL Server, Sharepoint and for the accounting folks – Excel. Having it’s functionality tightly integrated within Sharepoint Server will be a much better choice and hopefully will see a wider adoption. 1) A common use of such tables is to track events. Taking the example of the medical industry (the same one that we did in our previous example of dimensional modeling), when tracking insurance related events, we had to create a factless fact table in order to track the different events which covered the M:N relationships between the different dimensions in the system. Date: To track the dates for the sale. Store: To track which store and location the sale was made at. Product: To track which product the sale was for. Promotion: Any promotions that are put into place to enhance the sales. And then in the middle of it, we will have our SALES_FACT table which will record the dollar amount, the units sold etc. in addition to the keys to our dimension tables. So, for each sale that is made, all this information will be recorded and will be made available for analysis. But what about the products that were put on a promotion but did not sell? There are two ways of handling this: a) create records in the SALES_FACT table with 0 as the sales for those products under that time duration for a store during that promotion. Though this is logically valid, this will bloat the table data my many folds since we will be creating entries into the fact table for all the products for that day in a given store during the promotion scheme. A coverage factless fact table comes to the rescue under such a situation. One can create such a fact table with only the 4 keys that point to the dimensions mentioned above. Having such a table allows us to record each product in each store that is on a promotion in a given promotion time frame. This complex M:N relationship is captured by making use of the factless fact table. Now, going back to the question: “But what about the products that were put on a promotion but did not sell?“, we can get that answer by querying the coverage factless fact table to get the products that were on promotion on a given day in that store and then remove the products that were recorded in the SALES_FACT table for that store for that day since it recorded the products that did sell.